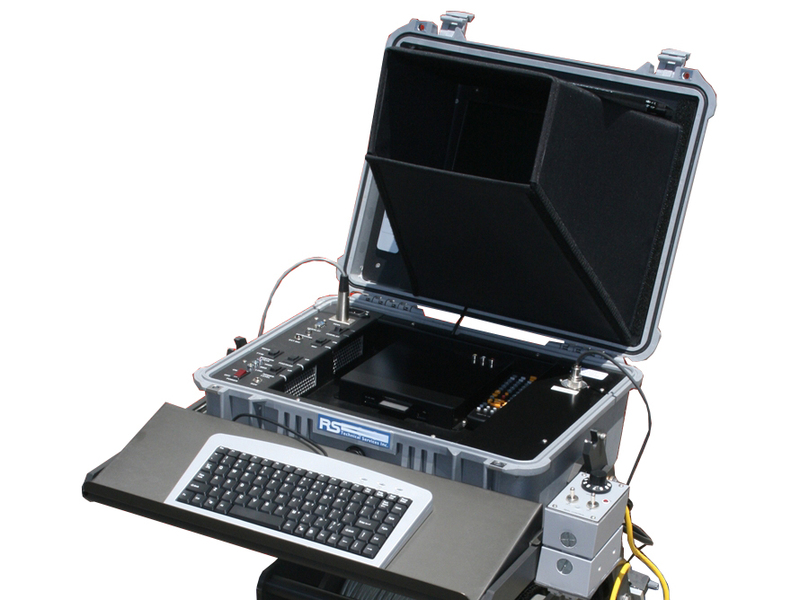 The 1375 Portable Mainline Controller unit eliminates the need for operators to adjust power levels during an inspection by automatically increasing or decreasing the power based on the load created by the equipment attached to the single-conductor cable. Compatible with all Subsite cameras and tractors. 1,000 feet of single-conductor cable when paired with our Compact Portable Reel (CPR). Capable of inspecting 4 to 200 inch pipelines. Includes a 15-inch TFT LCD flat screen monitor, on-screen footage display and a Digital Video Recorder to record video in MPEG 4 format onto a media card, USB thumb drive or external hard drive. Enclosed in a Pelican® waterproof and crush proof compact case that measures 18.43 x 14.43 x 7.62 inches and weighs only 13 pounds.